Acciaroli in Cilento, the most beautiful beach in Italy Acciaroli is a fraction of the municipality of Pollica and is located in the area of the Cilento National Park, the area south of Campania that embraces mountains and sea. This small town is now famous for its wonderful pristine beaches, considered among the most beautiful in Italy; Indeed, Acciaroli is one of the top 10 resorts of Italian seaside tourism excellence and has been included in the UNESCO World Heritage Site. It is connected by sea to Salerno and the other coastal towns of Cilento thanks to the “Metro ‘del Mare” and its marina. Here is a useful link to. 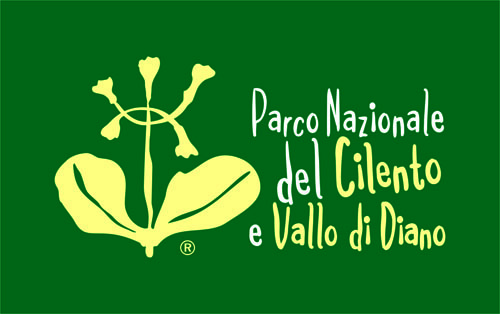 Countries of the Cilento National Park A list of the countries that are part of the National Park of Cilento and Vallo di Diano A Agropoli – Albanella – Alfano – Altavilla Silentina – Aquara – Ascea/Velia – Atena Lucana – Auletta B Bellosguardo – Buccino – Buonabitacolo C Caggiano – Camerota – Campora – Cannalonga – Casal Velino – Casalbuono – Casaletto Spartano – Caselle in Pittari – Castel San Lorenzo – Castelcivita – Castellabate – Castelnuovo Cilento – Celle di Bulgheria – Centola/Palinuro – Ceraso – Cicerale – Controne – Corleto Monforte – Cuccaro Vetere F Felitto – Futani G Gioi – Giungano I Ispani L Laureana Cilento. Castellabate – Celebrations for the republic day 2018 The municipality of Castellabate celebrates the Republic Day with two events related to the national and local historical memory. 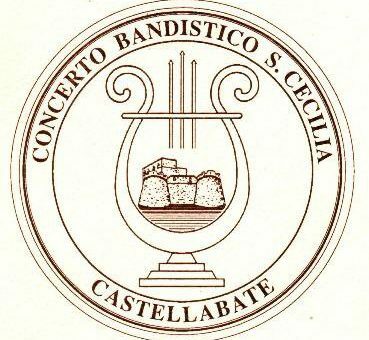 Friday, June 1, 2018 at 18.30 – Piazza Matarazzo (near the Fallen Monument) – Castellabate of Castellabate on the occasion of the celebrations for the 170th anniversary of the founding of St. Cecilia Concert Band Castellabate (1848-2018), coinciding with the celebration of the century World War I (1914-1918) presents CASTELLABATE during the First World War : “Men, Vicende e Musiche: The companies of our fallen and episodes related to our community in the terrible years of the First World War, will be told. The party in the woods in Perito 6 to 13 August 2015 Villa Nigro strongly advised to go hiking around one of the many small villages perched Cilento. In particular, in August, we should visit Perito and participate in the traditional The party in the woods. Perito, is a small hillside village Cilento situated 484 msl only 1000 inhabitants in the hinterland of Cilento. 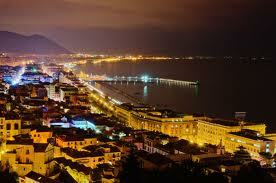 It is situated between Agropoli and Omignano Scalo. Here, past the Cathedral Church of St. Nicholas and on top of the country, in a fabulous fresh chestnut wood called Bosco Fontana, takes place for 7 days one of the longest-running food events in the area, the The. Felitto Festival of Fusillo Felittese August 14 – 24 the National Park of Cilento, Vallo di Diano e Alburni, 84055 Felitto SA, Italia Every year, in the second week of August, after up to 39 years after the inauguration of the festival takes place fusillo Felittese, a gastronomic event unique and special in the Cilento. The event takes place Aug. 14 to 24 and is organized by the Pro Loco of Felitto, led by Angelo Vilardi. The event has become a tradition over the years and it is without doubt an opportunity to discover the “Unique Taste of tradition Cilento. There are lots of tourists from all over. Considered by U.N.E.S.C.O. World Heritage Site, Paestum is one of the most beautiful cities of Magna Graecia that guests of Villa Nigro have the good fortune to be able to see only a few kilometers. The majestic Doric temples, illuminated by sunlight, and the long coastline, lapped by a sparkling sea, make this charming and full of attractions and shows. These three Doric temples , considered unique examples of Magna Graecia, are dedicated to Hera and Athena . The National Archaeological Museum of Paestum, which opened in 1952 and subsequently enlarged, is one of the most important archaeological museums and Italians in southern Italy . In one of the rooms. 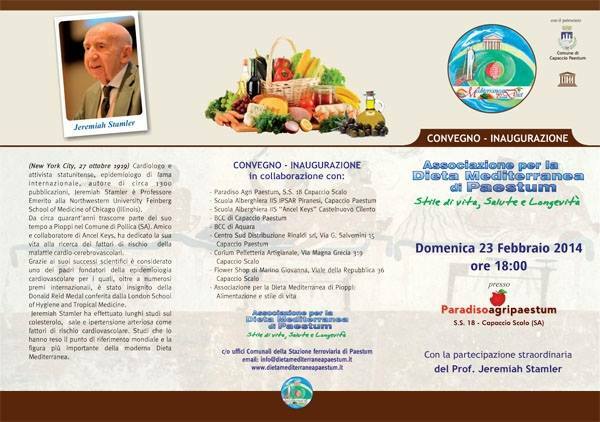 Event not to be missed: Capaccio-Paestum (Salerno) – Sunday, February 23, 2014 – Inauguration of the Association on the Mediterranean Diet with Prof. Jeremiah Stamler. Sunday, February 23 is the unmissable event at the “Paradiso Agripaestum”, at 18.00, for the inauguration of the Association on the Mediterranean Diet. Will be present at the conference the famous Prof. Jeremiah Stamler, a renowned scholar and colleague of Ancel Keys, founder of the studies on the Mediterranean diet, a person of great depth and witness of the real benefits of the Mediterranean diet. There will be also some of the most renowned chefs in the territory, with their dishes, will create at 20.00. The provincial capital is certainly mentioned among the tourist destinations and routes recommended for those who decide to visit the area, stopping at Villa Nigro. The city of Salerno, with its nearly 140,000 inhabitants and its about 59.75 square kilometers, is rich in churches, monuments and works of art. Its location between the mountains and the sea, gives an unusual charm and offers visitors a wide range of activities and events. The City of Salerno is very well organized in the tourism sector and has recently opened its first metro line and the City-Sightseeing Bus. And ‘the famous “movida” by night, especially on weekends, when the nightclubs, discos and pubs.